BJSM Editor’s Alert & Recommendation: Do not read this if you know everything you want to know about healthy eating already . New Year’s Eve 2011 was the first time I stepped off a plane in Cape Town, South Africa. With the usual carry on plus duffel in the hold combo. I looked like any other holiday maker to this spectacular destination. The laptop in my bag carried two years of research into a topic of no interest to pretty much anyone but myself – or so I thought. Bleary eyed after the overnight flight, I walked out into blazing sunshine and an even brighter African adventure. The fact that I am still here is down to some remarkable good fortune, two very special people and a niche little movie that almost didn’t happen. That all started at a braai (the local term for barbeque) one evening where the topic of my research was pushed center stage courtesy of special person #1. That he wasn’t even there to kick it all off himself didn’t matter a jot. Prof Tim Noakes MD, who is just about as famous in South Africa as any of their elite athletes, had issued his first public comment on the revival of that bad boy of macronutrients – FAT. As I was leaving his office after our first animated discussion, Noakes said something profound with that wicked signature smile of his. The epochal scene in Cereal Killers is of course Noakes tearing out the carb loading chapter of his endurance tome, Lore of Running. When he did so, it sparked the old athlete in me and I knew there was much, much more to this low carbohydrate story. By the time Cereal Killers released in 2013, John Yudkin’s anti sugar epic “Pure, White and Deadly” was back in print (we had to make do with a bootlegged PDF copy for research) and the topic was at least raising eyebrows. A good sign! The good fortune never left us really. An editing delay had opened a window of opportunity to include the brilliant Dr Peter Brukner and his low carb, World Cup winning Aussie cricketers in the movie. When World Ironman Champion (AG) Sami Inkinen saw that, he contacted me out of the blue to say he too excelled on a low carb diet. Working with the ketogenic diet pioneer Prof Stephen Phinney, he was metaphorically ripping out that chapter in Lore of Running every time he swam, biked or ran. Sami would star in our second movie – Run on Fat – and Steve Phinney crackled with wisdom, enthusiasm and knowledge throughout. The athletes were emerging – albeit slowly – as advocates of lower carb diets for myriad reasons including faster recovery, lowered inflammation and improved endurance performance. Phinney also dropped a bombshell. When he had met Ancel Keys in the 1980s at the University of Minnesota, Keys had reached in to his briefcase and produced a paper he could not get published. That paper, which allegedly showed that high cholesterol was not as strongly associated with premature death as he originally thought, would have gone some way to amending his own – and possibly everyone else’s – position on cholesterol. 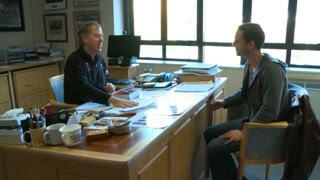 “Keys was furious.” said Phinney. When we wrapped Run on Fat, I wanted to know more about Keys, the legacy he had left and the direction he may have taken with that unpublished paper. The answers lay in Pioppi (pop 190), a tiny Italian village two hours south of Naples which is the UNESCO protected home of the Mediterranean Diet. Keys, the most powerful voice in the history of nutrition, had lived here for 30 years. His work in Pioppi ultimately laid the foundation for the introduction of modern low fat food policies in the 1970s, but he seemingly died an angry man. Keys’s influence had waned and he was unable to find a scientific journal to publish his updated position on cholesterol. “It was too late. The juggernaut was unstoppable.” said Phinney. British Cardiologist Dr Aseem Malhotra joined me to explore why that happened. What we found amongst these wonderful people in a magical environment, was remarkable. “We have a treasure” said Stefano Pisani, the local Mayor. He speaks the truth. 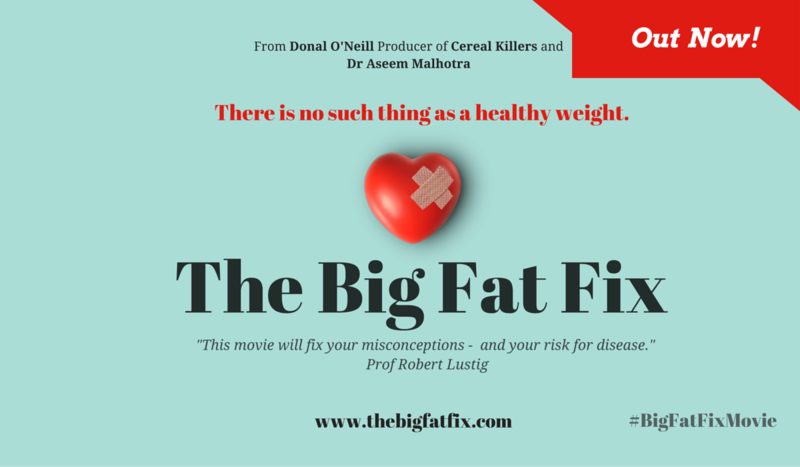 That journey is our new movie – The Big Fat Fix. Men’s Health have called it “the final word in the fight against dietary misinformation.” I hope they’re right. PS Special person #2 is my wife Louise. Because every film maker needs a happy ending too. Donal O’Neill is a former international athlete and film maker.